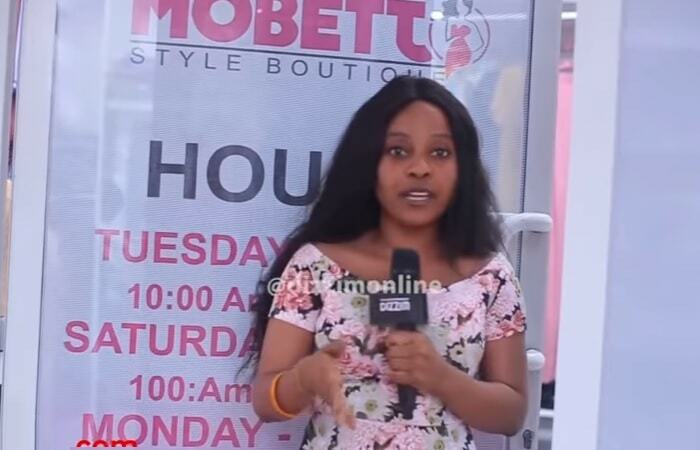 A snoop in TZ had it rough when she bumped into Diamond Platnumz' baby mama boutique to interview her about the Madam Hero song she had just released. 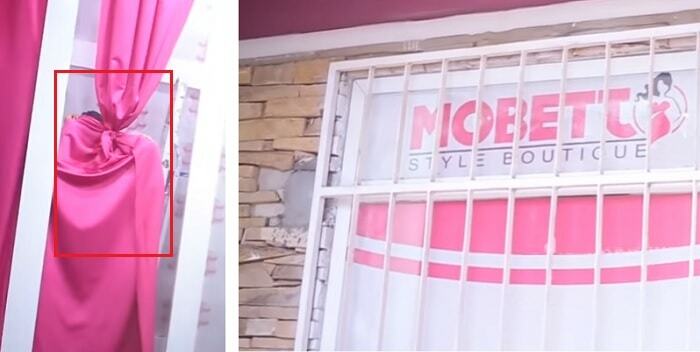 Hamisa Mobetto who was at her Mobetto Styles Boutique chased away the journalist who was insisting on having the interview with her. The mom of two told her to go away because her customers did not like to appear on her clips. The lady and her crew insisted on having her answer a few questions, but that she did while hiding behind some curtain of sorts. "No No No! Aah-Aah sitaki! I am serious. Turn off the camera, I am not doing it. Nina wateja wangu hawapendi camera so wakiona hivo wanogopa. Leave! I’ve heard that this is not the first time you have come, wateja wangu wanalalamika," Hamisa angrily told off the Dizzim Online female journalist. Hamisa Mobetto released the Madam Hero song that talks about the struggles and challenges she has been through as a single mother. Hamisa for close to a decade, has been dating the Bongo Flava singer, but it hurt her a lot when in no time, Zari was on board and in the four years they were together, Zari gave birth to the singer's first two children, Tiffah and Nillan. However, their relationship came to an end early this year and Hamisa heavily contributed to this when she rushed to court accusing the singer of child neglect, but Diamond owned up to his actions and that chapter was closed. Unfortunately for him, pics of his being cozy with another ex-lover of his, Wema Sepetu, went viral online, this was when Zari had to call it quits because even when she tried to put up with her baby daddy having a child on the side, another ex could be spotted on his radar. On being dumped by Zari, Diamond had to settle with Hamisa and just recently, he bought her a house something that Hamisa Mobetto's mom will forever be grateful for. These and many more forced Hamisa to sum it up in her Madam Hero song.